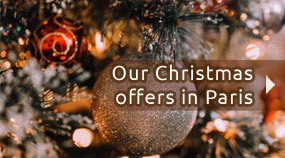 France Tourisme has selected for you in a wide range of budget the best New Year's Eve in Paris ! New year's Eve not to be missed in Paris on 31 december 2019 ! Paris by night on New Year's Eve is just MAGIC! Discover Paris, city of lights, and its most beautifull monuments. Paris is shining at nightfall. Every night, visit Paris by night by double-decker bus with individual audio guides and commentaries of our multilingual guide. 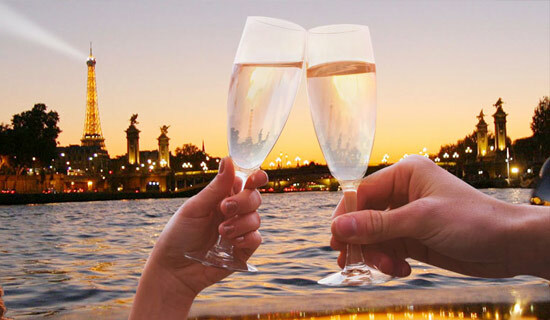 For your New Year's Eve, we propose you a cruise with champagne to discover the magic of Paris illuminated and the Eiffel Tower shining. Departures evey half hour from 6:15pm to 9:45pm. At midnight special cruise to celebrate the New year. Departure at the Eiffel Tower - An ideal Family New Year's Eve at Fantastic price ! 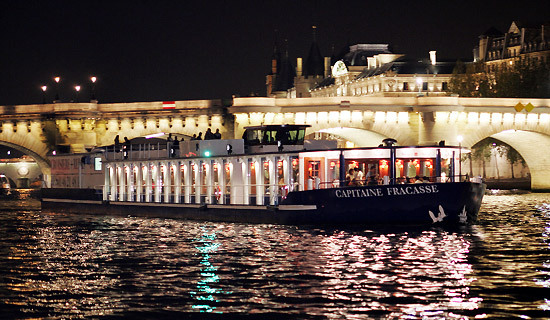 France Tourisme propose you an unforgettable night to celebrate a lovers New year on the Seine in Paris. 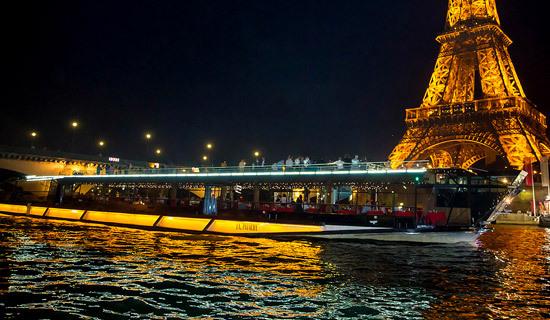 Gourmet menu with Champagne during your 1h15 cruise through Paris Iluminated ! 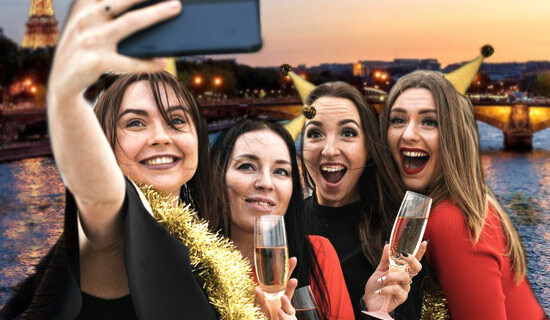 France Tourisme propose you an Exlusive New Year's Eve night and the opportunity to celebrate it in front of the Seine River, in the Paris heart ! 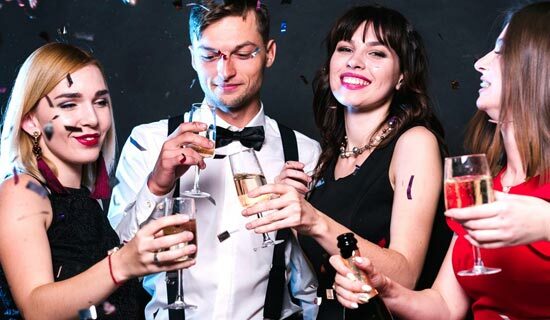 Some opportunities are available : buffet dinner with Champagne, Champagne cruise to celebrate the New Year's Eve in front of the Eiffel Tower and a late evening led by a DJ ! 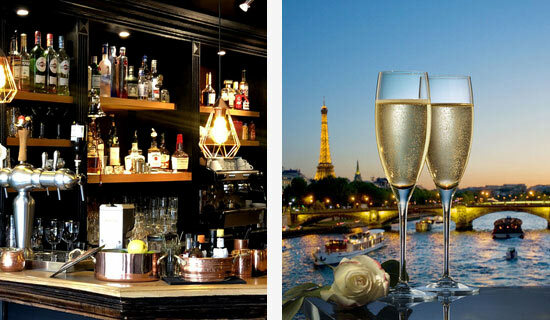 France Tourisme propose you a warm and friendly New Year´s Eve, accompanied of a greedy all included menu, near the Concorde square and of the Louvre. Receipt and service with the best quality, appetizer with champagne, musical environment and cruise Champagne (optional) are the ingredients of this France Tourisme's exclusive offer! A Crazy New Year's Eve at the Duplex, nearby the Arc of Triumph and the Champs Elysées ! Gourmet buffet dinner, with a violonist, an oriental dancer and a wizard, before joining the 3 music performances from the famous parisian nighclub to celebrate the New Year. 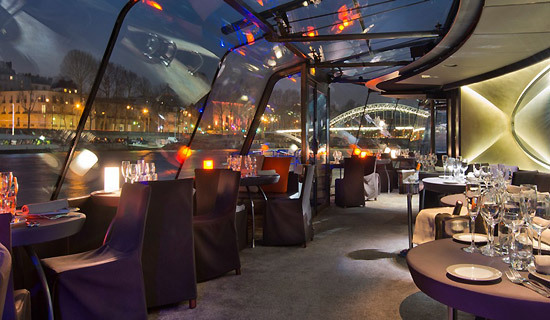 Imagine an early dinner cruise in a warmful and cosy ambience for your New Year's Eve in Paris. 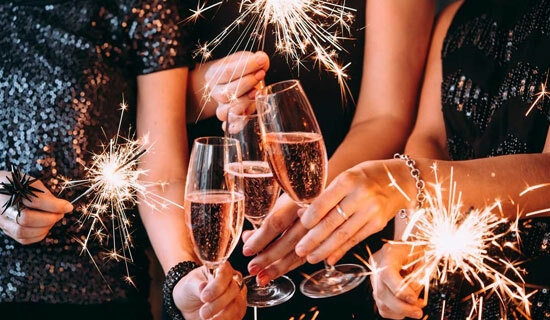 A restaurant room with large windows to admire Paris from the Seine, and a special New Eve menu all included with a glass of Champagne... Embark for an unforgettable New Year's Eve ! For New Year's Eve, Chez Eugene puts on a great spread and invites you to the Party. In a magical setting, surrounded by a merry-go-round with wooden horses, musicians, cooks and waiters will welcome you in a warm atmosphere to celebrate the new year as it should be... till dawn. 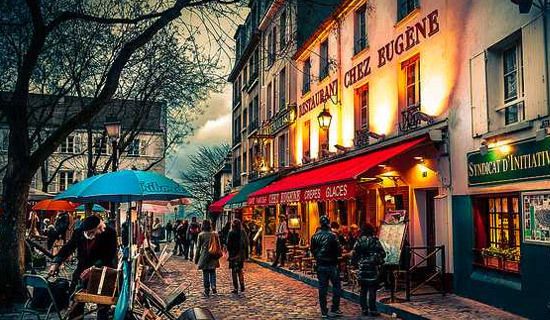 Evening Place du Tertre til dawn ! 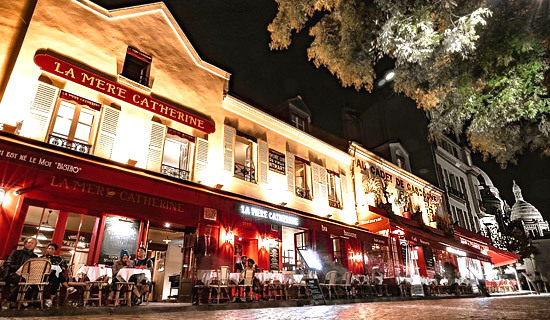 Celebrate the New Year at the famous restaurant of La Mère Catherine founded in 1793, in the incomparable atmosphere of bohemian Montmartre. 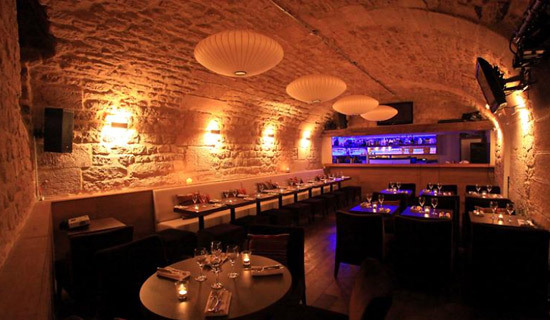 You will enjoy an exquisite menu in an atmosphere of French songs and of dancing in Montmartre illuminated. Celebrate a wonderful new year´s eve in the heart of the historical Paris, with a dinner at the restaurant "La Bouteille d'Or" an elegant restaurant with a warm frame located in front of the Cathedral of Notre Dame. 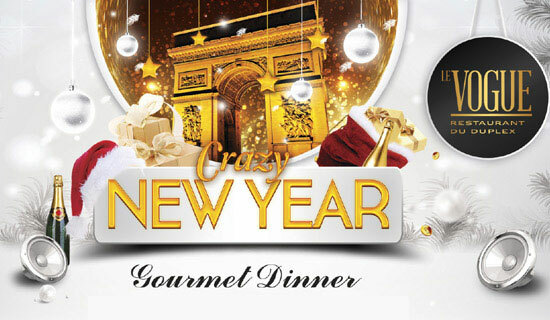 A "Crazy New Year" near the "Champs Elysées" Avenue. 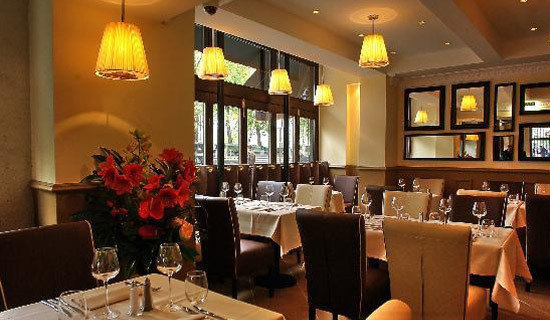 During your gourmet dinner, you will enjoy the cosy atmosphere and will taste refined meal. 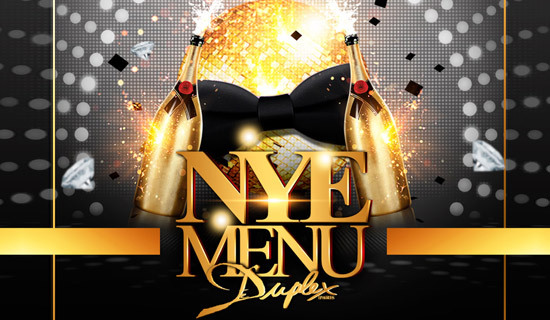 From 11:30pm until 6am, you will celebrate the new year on the dance floor of the famous Paris night club "Duplex", located under the restaurant. 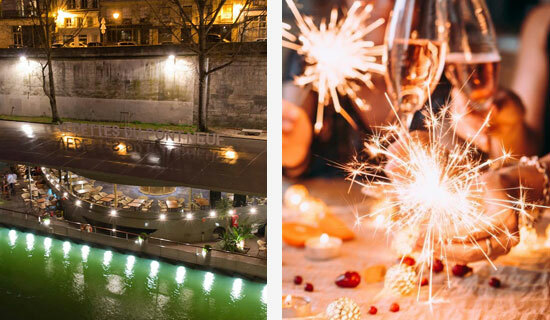 France Tourisme propose you spending an unforgettable New Year's Eve in the heart of the Saint Germain des Près district, after a night cruise of 1 hour with a glass of Champagne in order to discover Paris illuminated. 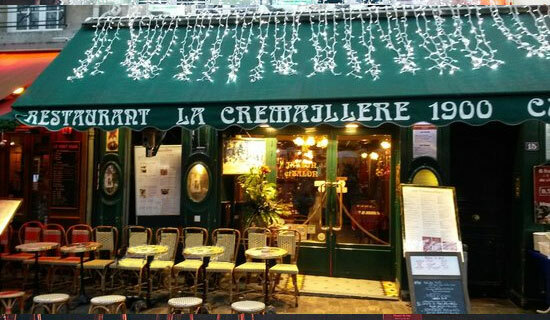 Celebrate the New Year in a charming restaurant located in "Place du Tertre", in the centre of Montmartre Village. Warm welcome, decoration from past time, refined menu, musical animation, ... A new year's Eve dinner through Montmartre charms. 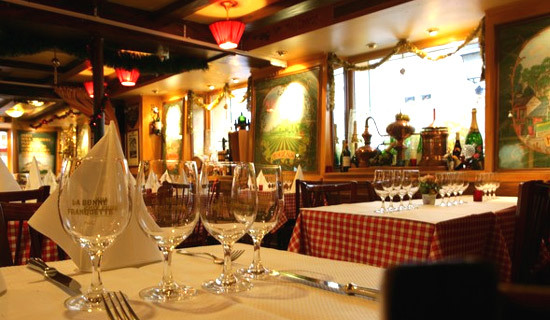 Celebrate New Year´s Eve in a typical restaurant in the heart of the Opera's quarter. Gourmet menu, musical environment and confetti, all included in this special new year´s eve offer! In the heart of the old Montmartre, located on the famous "Place du Tertre", this restaurant is decorated in 1900's style and it holds a charming private garden. You will taste traditional quality French food and enjoy the arty atmosphere of the place to celebrate the New Year's Eve ! 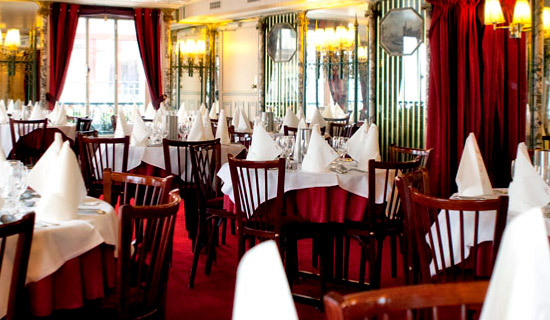 Celebrate the New Year's Eve in the restaurant "La Bonne Franquette", one of the most unusual restaurants in Paris. 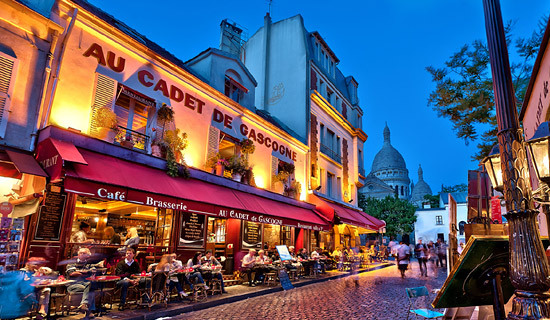 "La Bonne franquette" is for a while one of the most appreciated restaurant in Paris for its gastronomy and for its fantastic decor at the top of "the Butte Montmartre". 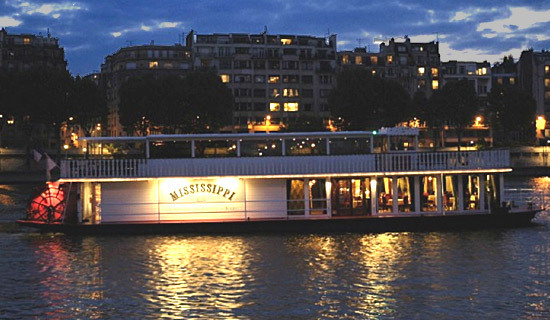 New Year's Eve dinner cruise on the wheel boat "Mississippi"
A magic dinner cruise on a luxury paddle boat, for your New Year's Eve in Paris. 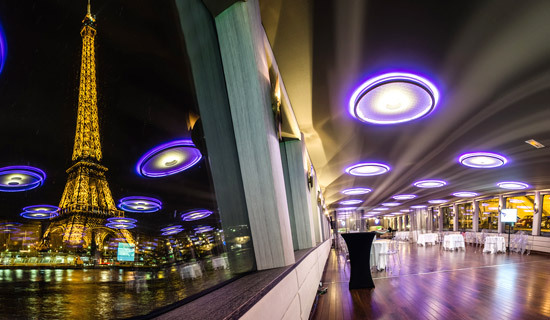 A 1h30 cruise, a festive menu during the cruise, and a dancing night animated by a DJ to enjoy your New Eve in Paris. New Year's Eve dinner cruise "Diamant Bleu"
We invite you to join our party on board for a prestige cruise of 2h. Luxury and pleasure will be scheduled for this festive evening expected throughout the whole year. 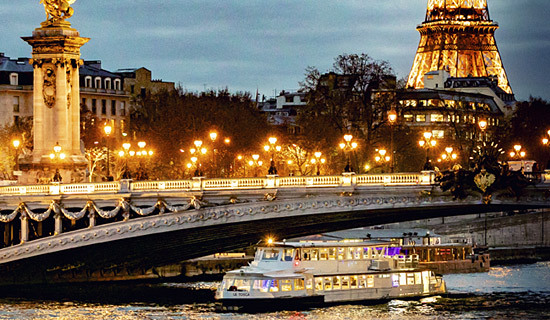 An unforgettable dinner cruise luxury wheel boat for your New Year's Eve in Paris. A gourmet menu during the cruise, and a dancing night until 2:a.m.
A France Tourisme Exclusive offer for a magical price ! Enjoy our exclusive offer for a dinner cruise for New Year's Eve, on December 31. A wonderful night a special party menu, the transition to the new year on the Seine river and a dancing night until 2:00 a.m. ! 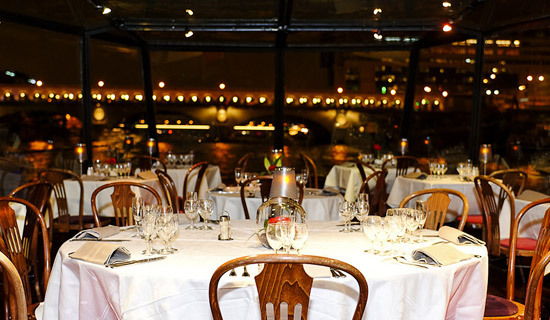 We propose you a dinner cruise at the Seine, on board of an authentic ship of beginnings of the 20th century. Embarking from Grenelle's wharf to have an incredible night with DJ, dinner and being around the Eiffel Tower at midnight. Enjoy our offer for a dinner cruise "Soirée Festive" for New Year's Eve, on December 31. A wonderful night a special party menu, the transition to the new year on the Seine river and a dancing night until 2:a.m. 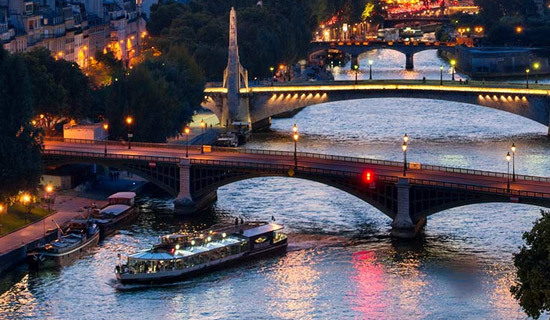 Discover the magic and colorful Seine quayside during your New Year's Eve in Paris. 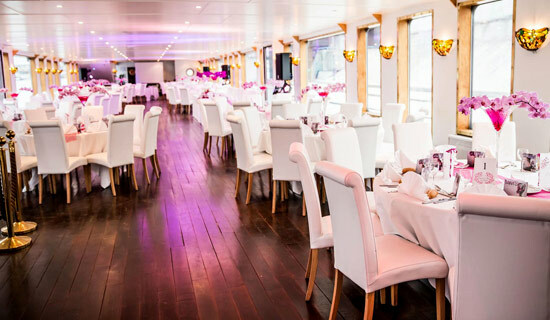 Within a somptuous Bateau Mouche, you could enjoy a refined food with Champagne during the cruise with a romantic musical ambience all along. Enjoy our prestigious offer for a dinner cruise for New Year's Eve, animated by a live orchestra. 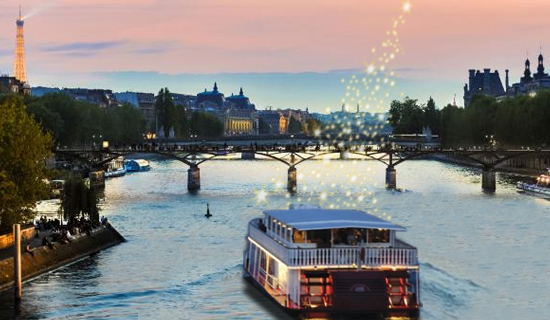 A magic night on the Seine River with a gourmet menu, the transition to the year 2019 on the boat and a dancing night until the dawn. 3 Shows - A Crazy New Year's Eve ! 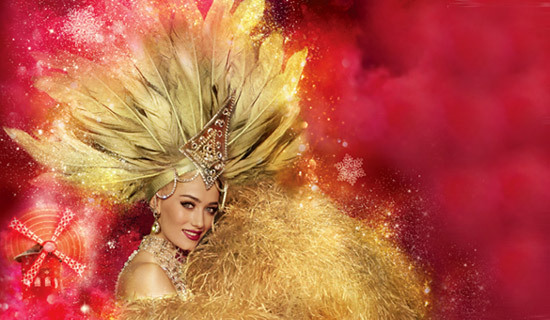 Come to discover the famous girl dancers of the Crazy Horse and the show "TOTALLY CRAZY" for New Year's Eve ! Our offer includes access ticket to the cabaret to attend the music hall of the Crazy Horse with half bottle of Champagne "Supérieur". 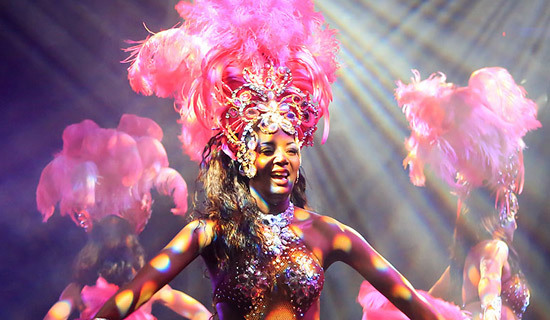 A new year's eve evening at the rythm of Samba ! Enjoy the December 31 on the most beautiful avenue in the world at the LIDO DE PARIS for an exceptional New Years Eve ! You will enjoy at the cabaret, Lido de Paris, a wonderful gala dinner, the show "Paris Merveilles" and a dancing night for the transition to the New Year. Enjoy an exceptional Evening the December 31 on the most beautiful avenue in the world at the LIDO DE PARIS ! You will enjoy at the cabaret, Lido de Paris, the show "Paris Merveilles" and a dancing night for the transition to the New Year. Let's meet on December 31 at the famous cabaret in Pigalle, MOULIN ROUGE, to celebrate the transition to New year in the most Parisian atmosphere ! 1 bottle of Champagne and Assortment of Canapes, the show "Féerie", a dancing night with party novelties and 1 special gift offered by the Moulin Rouge! Let's meet on December 31 at the famous cabaret in Pigalle, MOULIN ROUGE, to celebrate the transition to New year in the most Parisian atmosphere ! You will enjoy a gastronomic diner, the show "Féerie", a dancing night with party novelties and 1 special gift offered by the Moulin Rouge.